BlackBerry today slashed the price of its latest BlackBerry Z30 smartphone by over 13% to Rs 34990 under a special offer to boost sales of the BB10 OS based device. Following the enthusiastic response to 10th anniversary special offer on BlackBerry Z10, BlackBerry India has now extended a special offer on its flagship device, BlackBerry Z30. 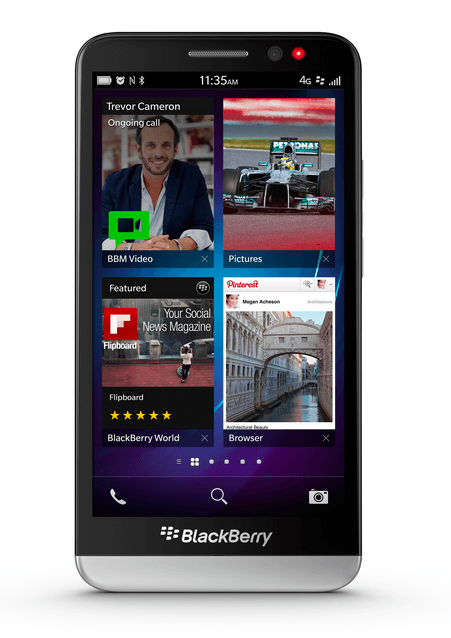 Featuring BlackBerry 10 OS version 10.2, the new all-touch BlackBerry Z30 smartphone comes with a beautiful 5.00-inch Super AMOLED display with 720×1280 pixel resolution, powered by 1.7GHz dual-core processor with quad-core graphics alongside 2GB RAM and the largest 2880 mAh battery yet on a BlackBerry smartphone. I have some question about BB os 10 . Is it support android apps ????? And for using internet i will recharge BB internet pack or normal internet pack ??????????? *Yup it will indeed support Android apps. *Yes you can use all BB services with just a normal internet connection. *Black Berry has a lot of money stuck in BB10 devices and hence they are selling it for a low price.If interested make use of it.